These Are The Best Jet Ski Covers You Can Get! The 2 worst things for your jet ski is the Sun and Water. Ironic isn’t it, but it’s true! This is why finding the best Jet Ski cover is so important. What size do you need? Will it hold up? Is it even worth it? All those questions and more I answer below. What Size Jet Ski Cover Do You Need? The biggest question you might have is what size do you need? I’ve made a chart to show the typical sizes for 2018 watercraft below to give you an idea. I’ve rounded up to the nearest inch too. Still not sure on what size to get? It’s better to get a cover that is too big than one that is not big enough. Your main goal for when it comes to a jet ski cover is to keep the sun off of it. Many of the universal covers you get won’t be a perfect fit but do work fine and can even tighten down too. The OEM covers, the ones made by the same manufacturer as your watercraft, are going to fit the best. But this does not mean I consider them the best covers. I’ve noticed that some people have trouble putting on the OEM covers compared to the universal fitting covers. Another downside to the OEM covers is there cost. I will say they’re built really well and are thick. But a cover to me is something that will need to be replaced eventually, and I have an easier time buying more affordable universal fitting covers instead. I actually use a universal fitting cover for my Sea-Doo that I go into detail at the bottom. Check out Classic Accessories Stellex on Amazon. Rear vents help reduce inside moisture, and wind lofting which is where it blows around (helps to equalize the inside pressure to the outside). Straps for holding it secure. Elastic Bottom Cord to make it easy to put on. Excellent weather protection with a good warranty behind it too. Zippered access allows you access to the inside of the watercraft on either side. Check out Classic Accessories Lunex RS-1 out on Amazon. Made of a grid-like fabric that cuts down on tearing and breaking. Elastic cord allows for quick installs and makes it more secure on the trailer. Venting to cut down on moisture inside of the cover and for towing. Comes with storage bag (This is useful trust me). Check out North East Harbor Gray Cover on Amazon. Straps to hold it to the trailer and keep it from blowing off the watercraft. Mesh storage bag. Mesh allows a wet cover to dry quicker. Elastic cord around the bottom for easy fit. Breathable fabric and water repelling. Check out Leader Accessories Polyester Cover on Amazon. Resistance to mold and UV light. Four-ply double sewn seams and no raw edges. Rear Air Vents for allowing air out. Elastic cord bottom for easy put-ons. Front and rear heavy duty tie-down loops to make it easier for trailering. Check out MSC Trailerable PWC Cover on Amazon. Great for mooring, long-term storage or trailering. Elastic cord on the bottom for quick installs. 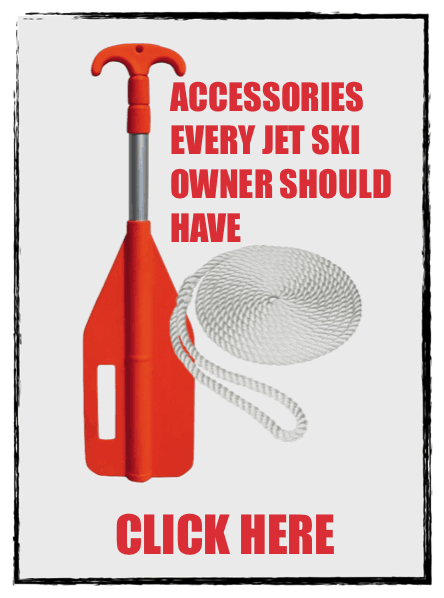 What kind of Jet Ski website would this be if I didn’t have a Jet Ski nor a cover for it? Could you trust a website if that was the case? 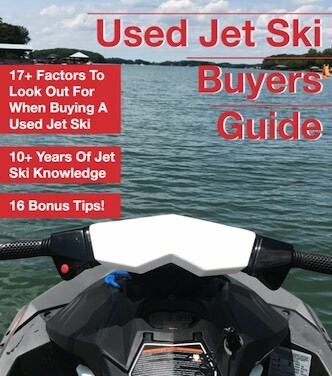 I personally own a Sea-Doo Spark, and the cover I use for it is this one here. I stick with the universal fitting covers nowadays because the OEM ones are just too much to deal with. This cover works great for me, keeps the sun off of it and the rainwater away from the footwells. I don’t have it on when I trailer the jet ski, but I don’t keep a cover on any jet ski I trailer. I’ve sold and bought many watercraft, and every time I’ve trailered a jet ski the cover would fly off so I don’t do that anymore. I love my 3up Sea-Doo Spark. Compared to a GTR 230 it’s more playful and way better on gas. But the GTR 230 is going to be faster and more comfortable of a ride. Comparing the two it depends on what you want, do you want playful or speed? If this is his first jet skis maybe give the Spark a try for a season, but if he wants to upgrade to something faster and more comfortable then go with the GTR. My only suggestion if you go with the Spark is to get the models with iBR for better control around the dock. One extra bit, if his Sea Ray is big enough he could easily get attachments for it so he can dock a Spark on the back of it.